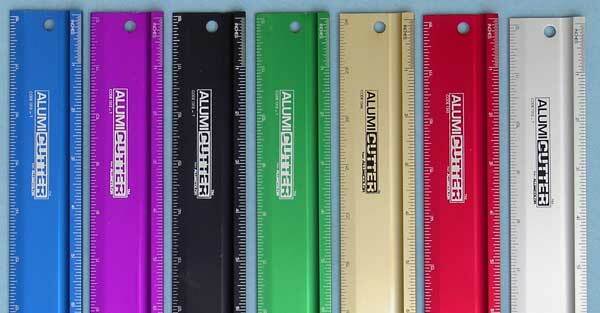 Alumicolor® AlumiCutters™ and Steel Edge AlumiCutter™ measure and then use the cutting edge without changing tools. 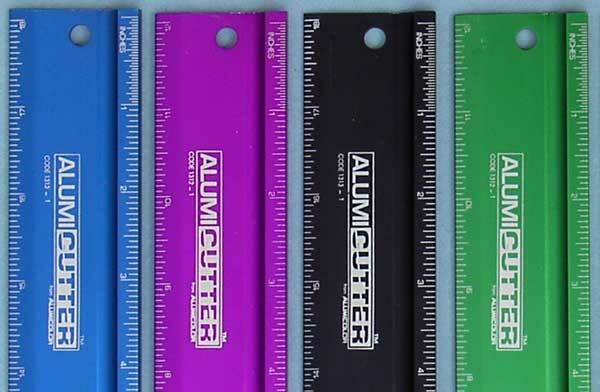 AlumiCutter's™ raised edge and finger groove protect fingers while cutting. Use the colorful AlumiCutter™ with a hobby knife or use the Steel Edge AlumiCutter™ with a rotary blade for safe cutting! The neoprene recessed non-slip backing keeps the AlumiCutter™ positioned with just a light touch. Made from extruded aluminum with markings done using Alumicolor's® photo anodizing process is also an ideal raised inking edge. 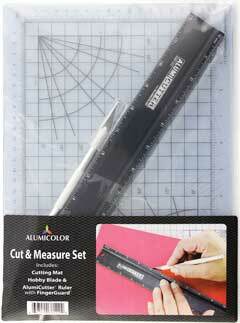 See our Cut & Measure Set, with AlumiCutter™, cutting mat and hobby blade!